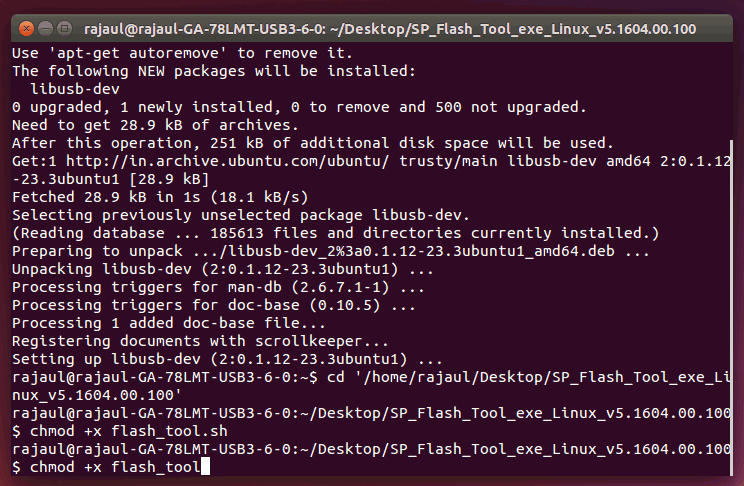 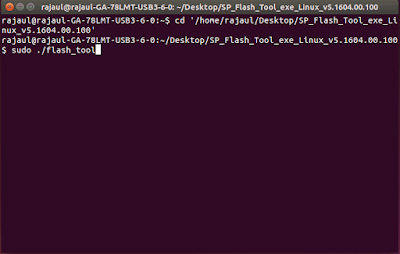 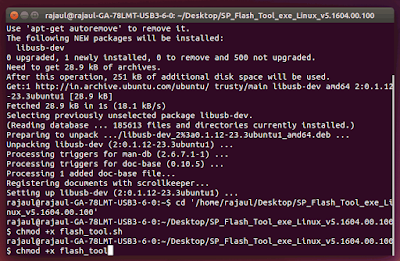 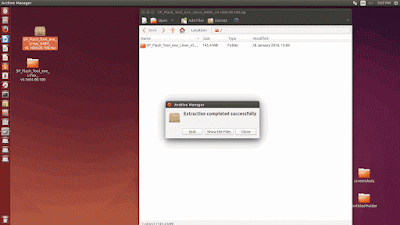 2)Extract downloaded spflashtool on desktop. 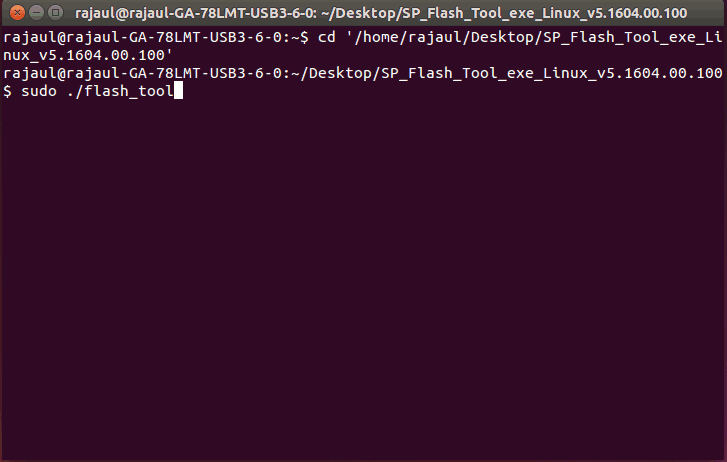 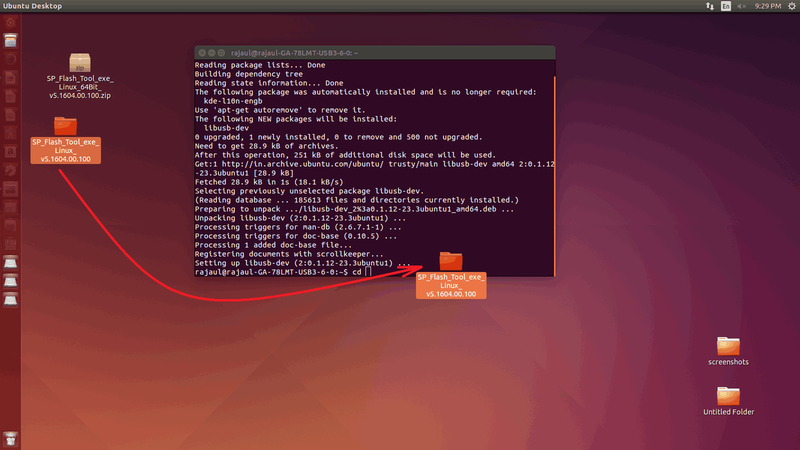 3) Type “cd” on terminal then give a space and dragg“SP_Flash_Tool_exe_Linux_v5.1604.00.100” folder to the terminal,press enter. 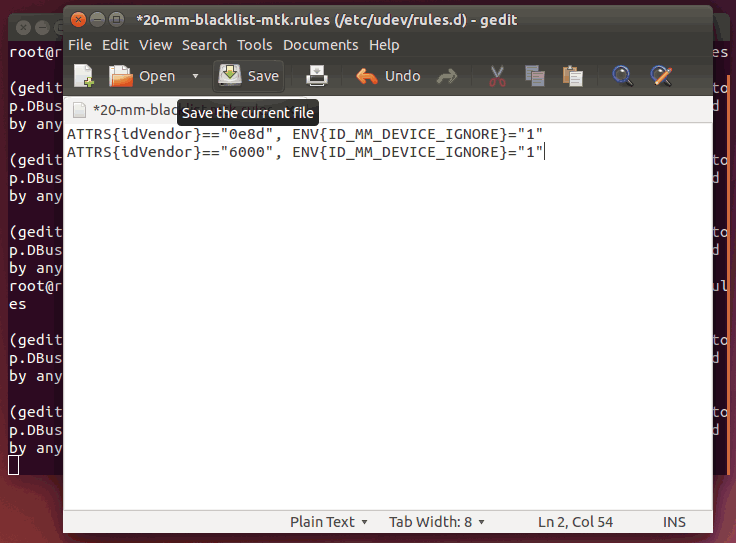 Copy ROM and extract in a folder on Desktop. 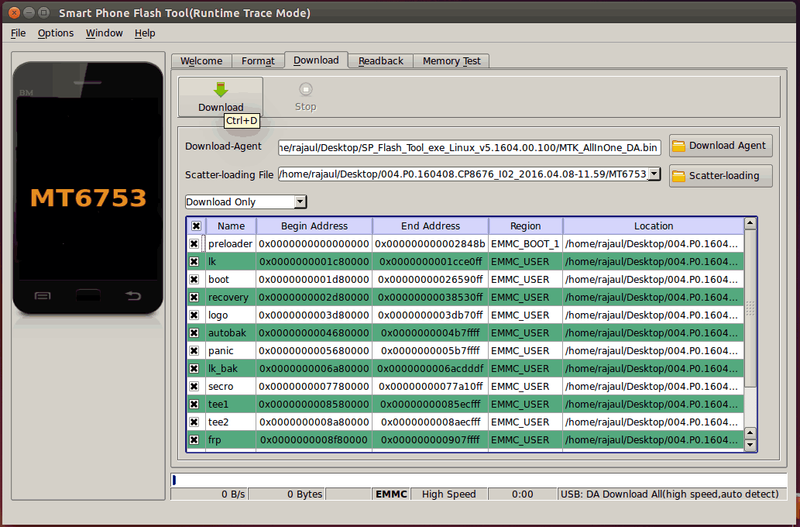 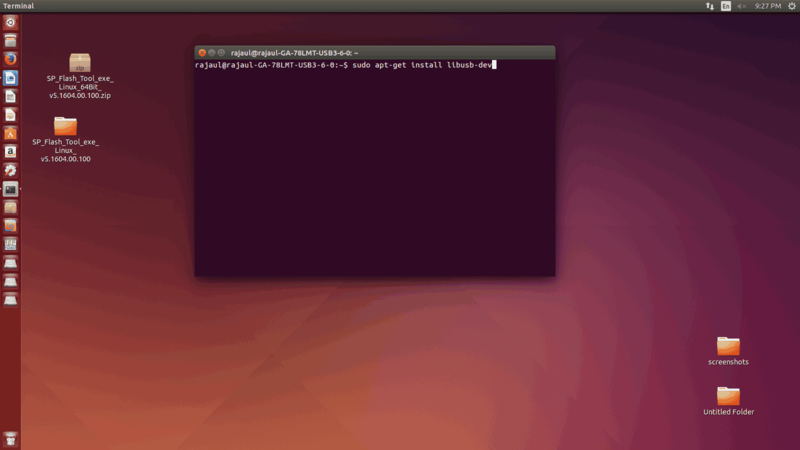 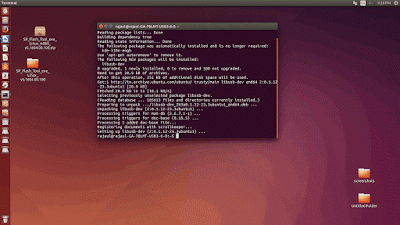 Click on the scatter-loading and locate the scatter file from extracted ROM folder. Click on the "Download" button . Switch off device and connect to PC/Laptop through usb cable. 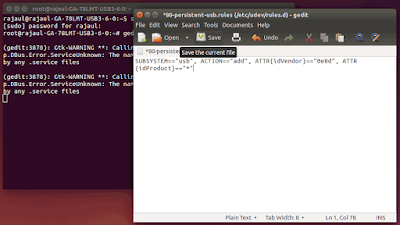 Disconnect phone and press power button to reboot. 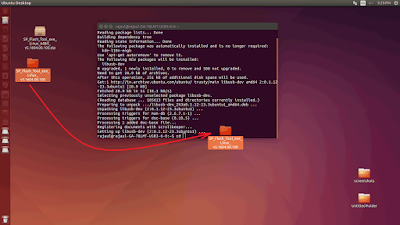 hey, How do I install it on fedora? 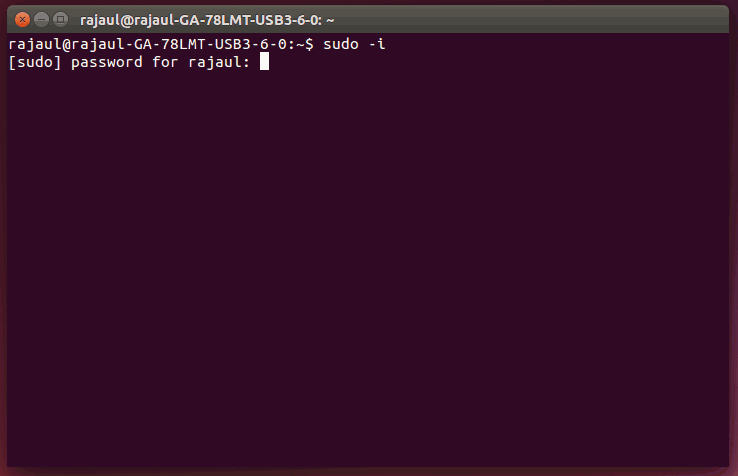 I went through your steps. 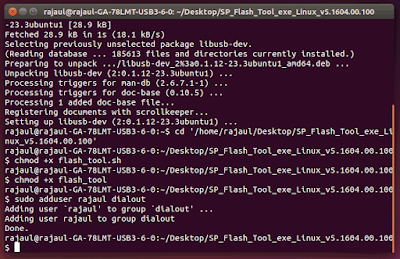 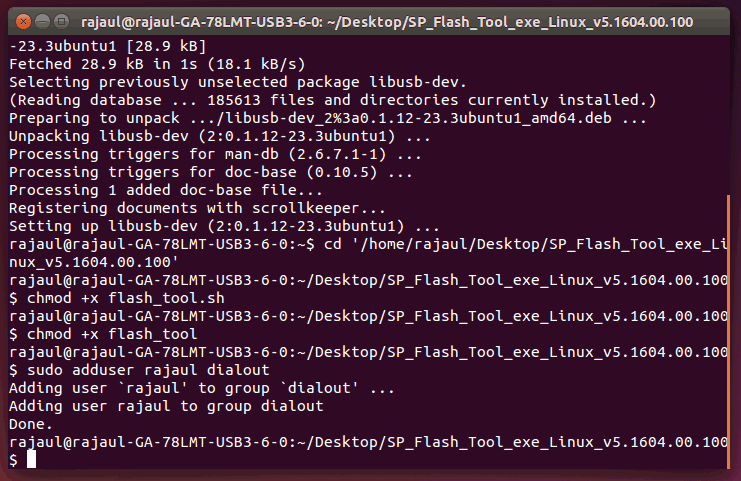 I installed SP flashtool then what is the alternative for dialout in fedora?